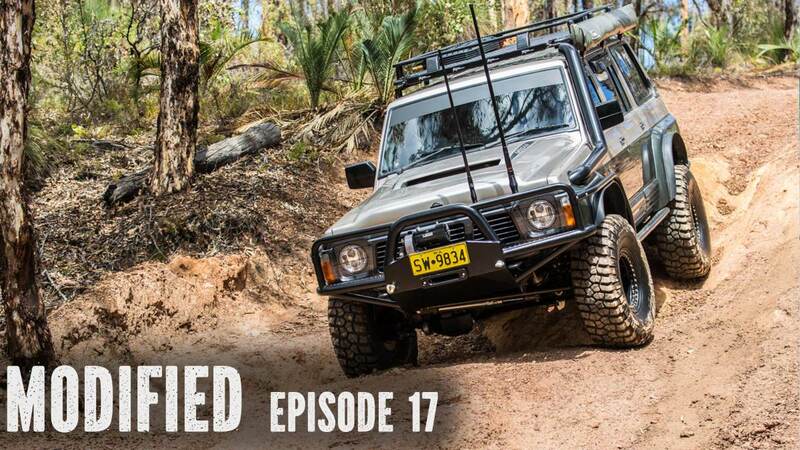 "Modified" is our latest video and web series showcasing the public’s 4x4 trucks / 4wd vehicles so you can get ideas for your vehicle build and/or future plans. Each episode will feature different makes and models with Ronny talking to the owner about the vehicle, the accessories and the mods to get more of an insight as to why the owner chose it and how it helps improve the vehicle. In addition we find out what didn’t work for the individual and things to look out for on the featured make and model. Each off-road vehicle owner has their very own unique touch to their setup many of those ideas can be quite surprisingly simple and other ideas are just plain brilliant. So here is your chance to watch and learn from four wheel drivers who actually use their vehicles for everyday use, holidays, camping and play! 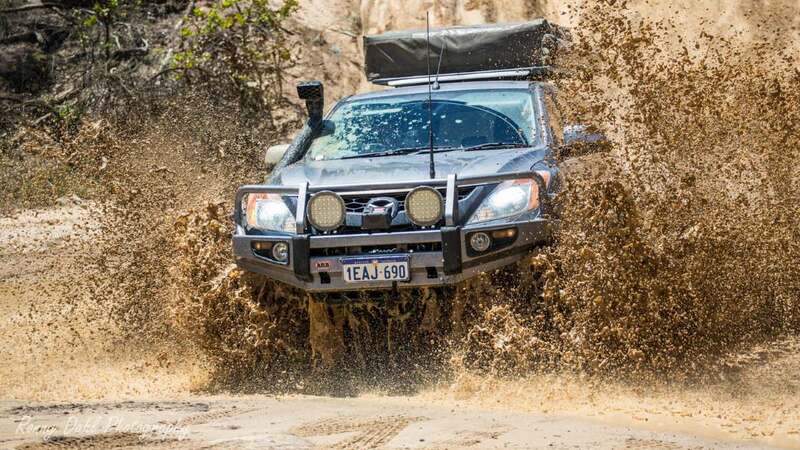 These people have tried and tested everything on their vehicles and with all the alterations made them into 4x4 trucks to take on particular tracks and trails. 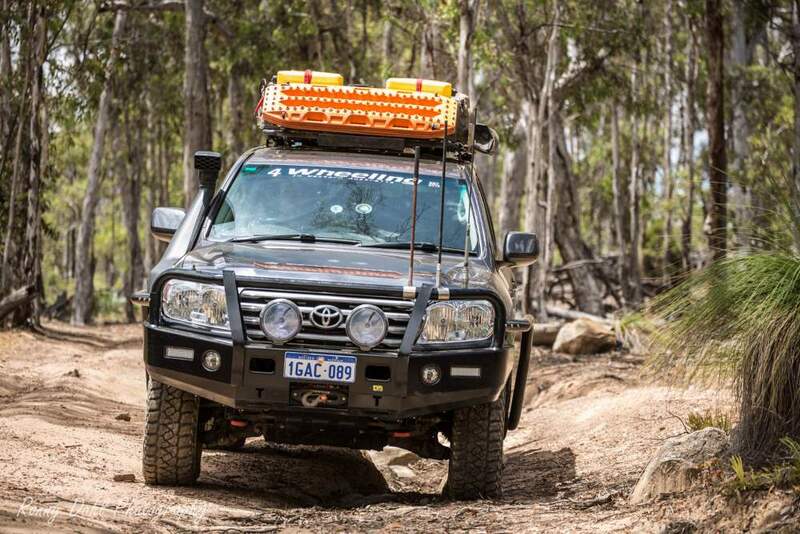 Each episode has a regular Q & A at the end for some additional insight into the owner and their customised 4wd vehicle. Each episode has it's own dedicated YouTube video and webpage where you can also ask additional questions about each vehicle. The Modified series is very new so check back to see updates and subscribe to the YouTube channel to stay up to date with all the upcoming 4WD vehicles. 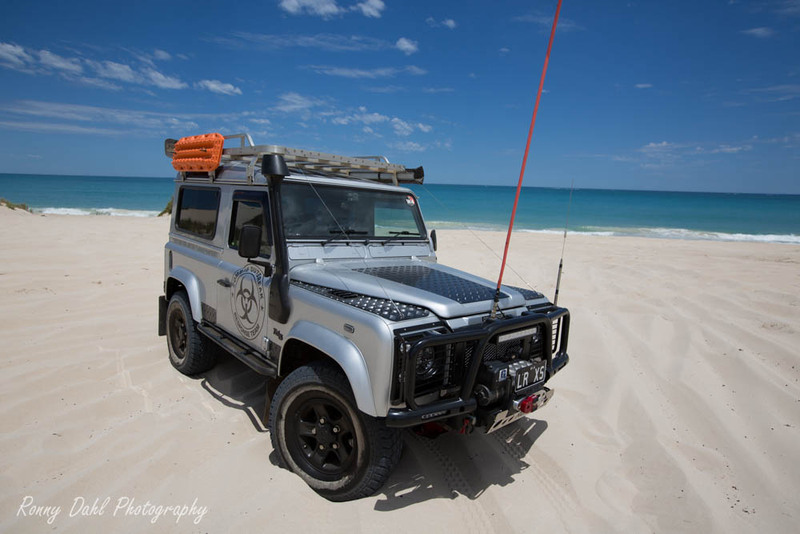 If you are local to WA or Perth area and have a kitted out 4WD you can contact us here to register and possibly get your very own episode of our ‘Modified’ 4x4-trucks series. 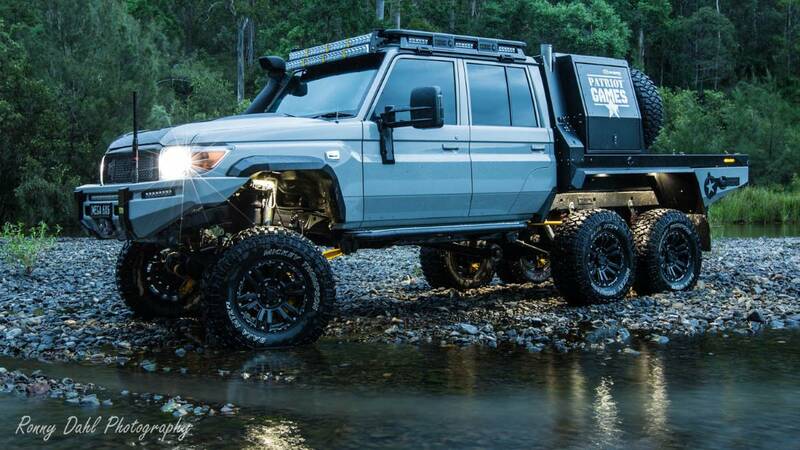 Finally a Toyota Land Cruiser HJ60 on modified 4x4 Trucks. This beautiful 30yr rig with great paint and body work is owned by a very young bloke, Sivan. The Toyota 80 series, one of Australia’s favourite choice when it comes to coil sprung wagons. Apart from the clever DIY design on the rear this 80 series is equipped with plenty of comms even HF radio. This rig only has necessary gear bolted to it. Enjoy the video and be enlightened with loads of ideas. For More Information See Modified #64. 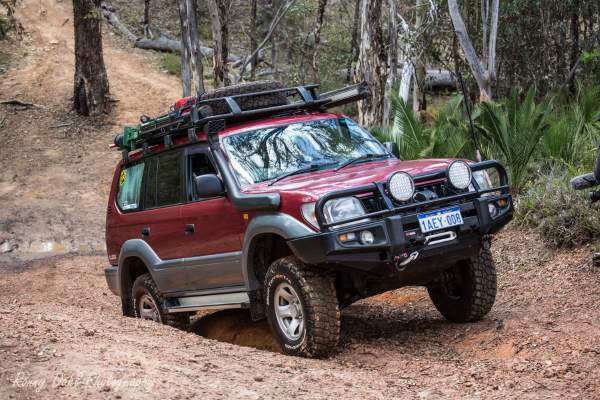 Fabian and his girlfriend took the Y61 Nissan Patrol off the beaten track and down the Munja track deep into the middle of the Kimberly all the way to Walcott Inlet which is by far not a walk in the park kind of drive. 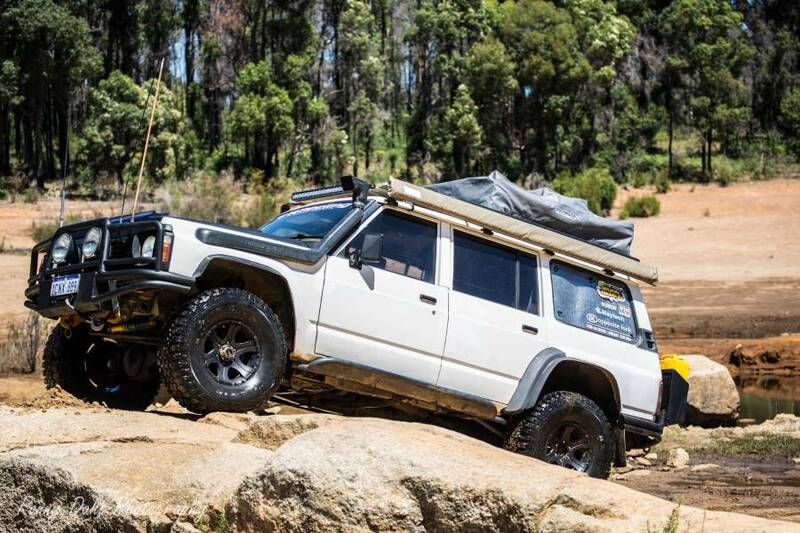 The way this Y61 Nissan Patrol has been setup is nothing short of being amazing. For more information and to watch the modified video click here. 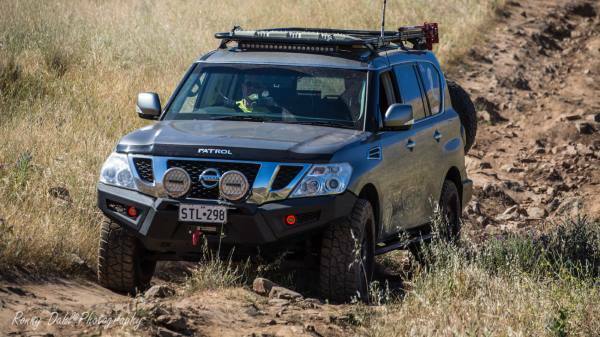 Another Nissan Y62 Patrol on Modified. This one owned by David who is a YouTuber (Dash Offroad). Enjoy the build and get some great tips and watch the Modified video. For more information see Modified #62. Another 79 series Landcruiser on 4x4 Trucks Modified. This build by Josh inspired by a mate that has passed away and the YouTube channel. Josh is also the owner of Whistler wines in the Barrossa valley. Finally a turbo diesel Prado 120 on Modified! 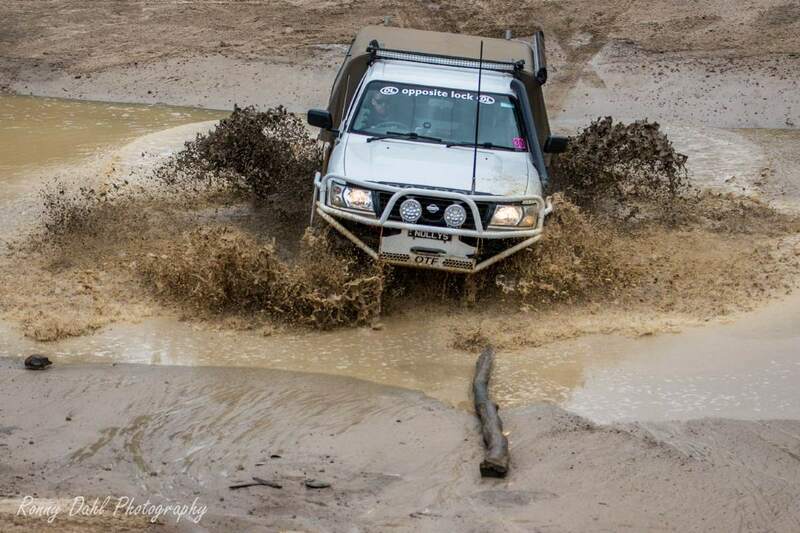 This Toyota Prado gets well used for touring and the fun tracks. You can tell a lot of time and thought has gone into this build. For more information and to watch the video click here. 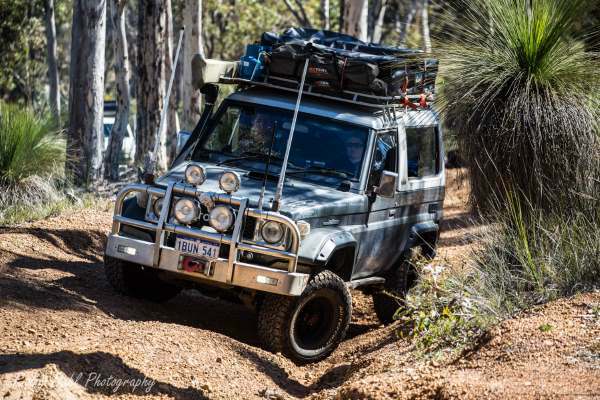 This BJ74 Landcruiser will be 30 years old come 2019 and will take you touring in comfort and stay there for a while. This segment will so you more than just clever mods, pay close attention and you will see routine and a well thought out setup to go with it. We have our first Chevrolet Silverado on 4X4 Trucks modified. This flatbed truck is long and wide but Josh is far from worried about scratching the Chevrolet Silverado on the tracks as it's just part of 4 wheeling. Disco 1 on modified! Many have been asking since the first 10 episodes were made on 4x4 Trucks, and now we are at modified episode 56! There is a lot of DIY stuff on this rig from rear drawer/layout to the electrics, so a good episode to watch for a budget build. 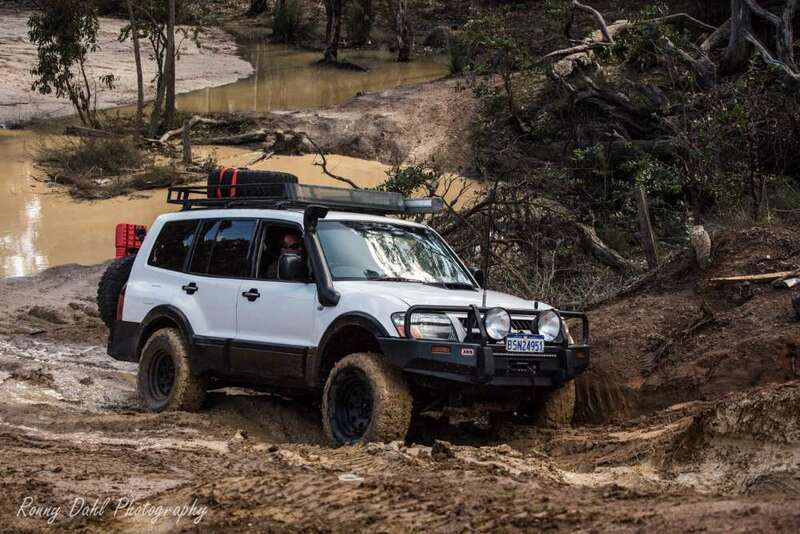 Danny's twin locked Brunswick Diesel 6.5l V8 GQ Patrol is one of the most capable vehicle and by far not over the top. It has what it needs and that’s it. For more info and to watch the Modified Video See Modified E54. 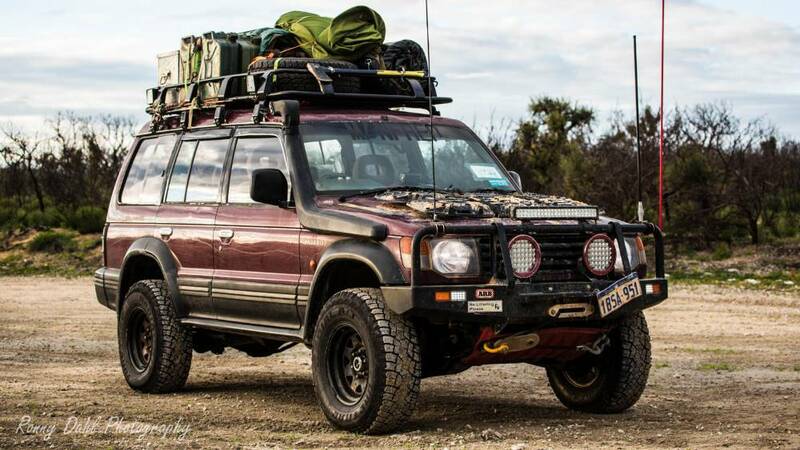 Another 80 series on Modified 4x4 Trucks, this one however is build for play and touring/remote travel and has done plenty of it. For more info and to watch the Modified Video Click Here. The second Toyota FJ Cruiser on Modified. The main feature of Shaun’s FJ Cruiser is the rear and interior. It may look like your standard rear setup but it’s far from that and the rest of the vehicle is kitted out with some quality gear. For more information and to watch the Modified Video, See This Link. 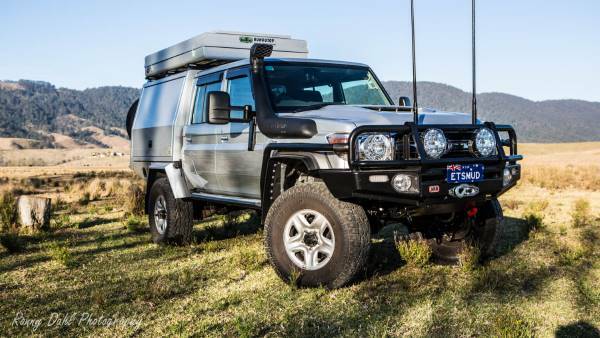 The first of the 2017 versions Landcruiser 79 series dual cab to make it onto Modified. Sean owns one of the cleanest built 79’s that I’ve seen to date. Being on portal axles this Landcruiser really has great under body clearance and at the same time is engineered and gains good height without the body roll. For More Information And The Modified Video See Modified #51. This Nissan Patrol Y62 has some seriously clever space management with the limited space behind the 3rd row seats. Yes, this is a 8 people seater with the complete touring ready setup. For more information and to see the Modified video go to Modified #50. 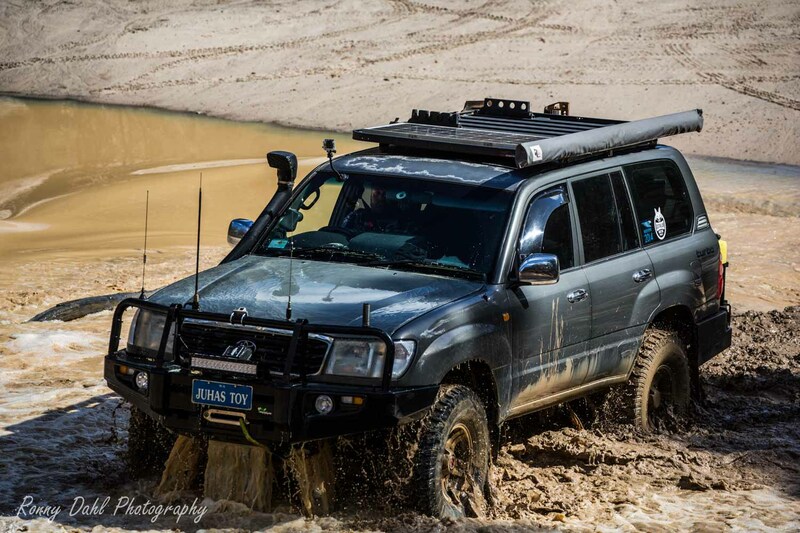 The second 105 series Landcruiser on modified 4x4 trucks. This build is a great mix of DIY and quality products. What may not seem like much from the outside is actually hiding a lot of cool and useful mods. The main feature on this Toyota Prado 90 is the rear cargo area plus the electrical system which is quite neat and impressive, all 4x4 owners will learn something from this build. Enjoy. This is by far the most eye catching build we have featured to date, this is the Mega Tourer 6X6. The engineering alone would have been a nightmare and a costly nightmare but here it is fully STREET LEGAL and driving like very well balanced passenger vehicle on the road. The first 6WD vehicle featured on modified. 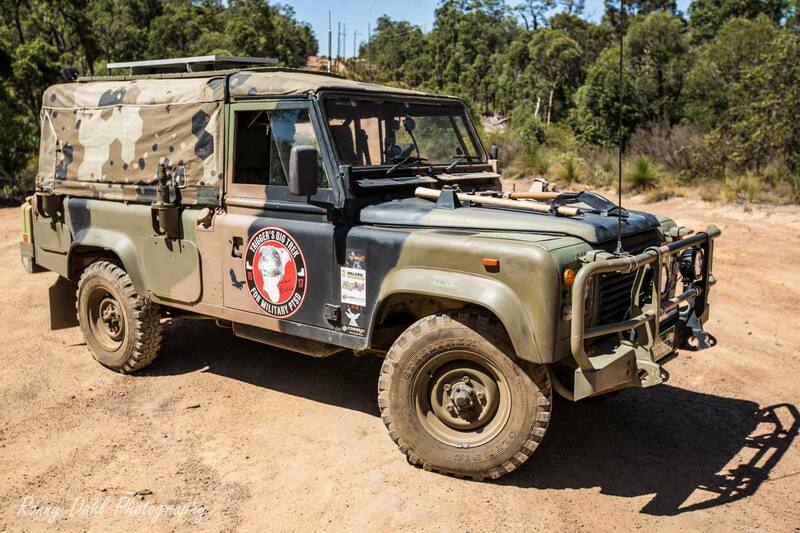 An Ex-army 6x6 Land Rover Perentie. 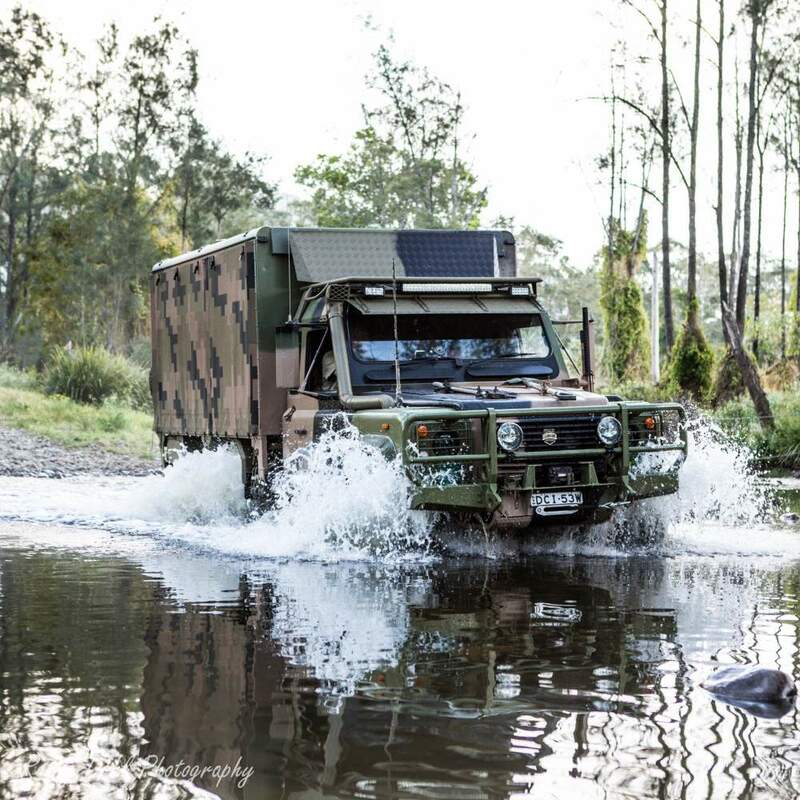 This is a very unique build and vehicle due to the living and camping mods on this ex-army truck, and not just because it's a 6x6. For more information and to watch the video see Modified #46. 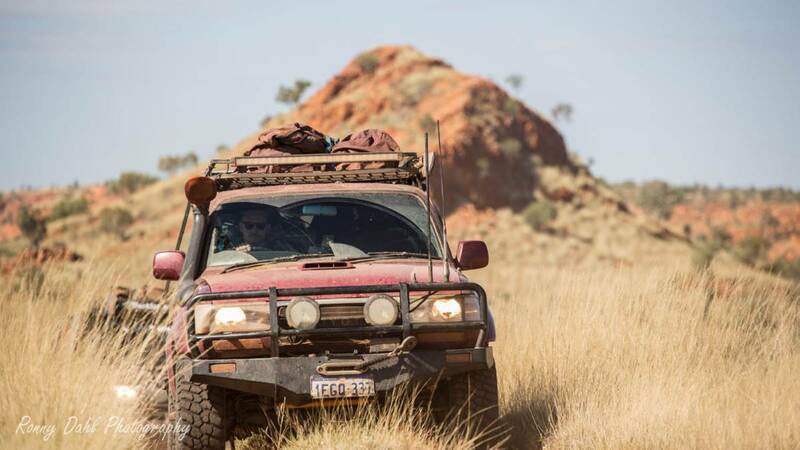 Andrew St Pierre White and his Toyota Landcruiser Troopy from 4xOverland is showing up in the Modified #45 on4x4 Trucks. Get the notepad out and watch the 60 min modified video and get some good idears for your own modification. Wayne’s Landcruiser completely featured from top to bottom and side to side. For More Information See Modified #44. The third Mitsubishi Pajero on Modified, this one supercharged and with a trailer. 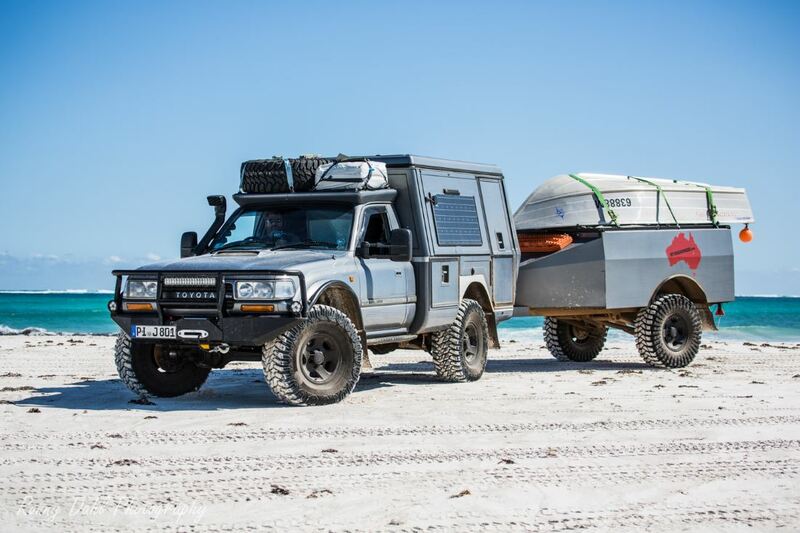 This is a good compo and would suit all needs of 4x4 touring / overlanding. 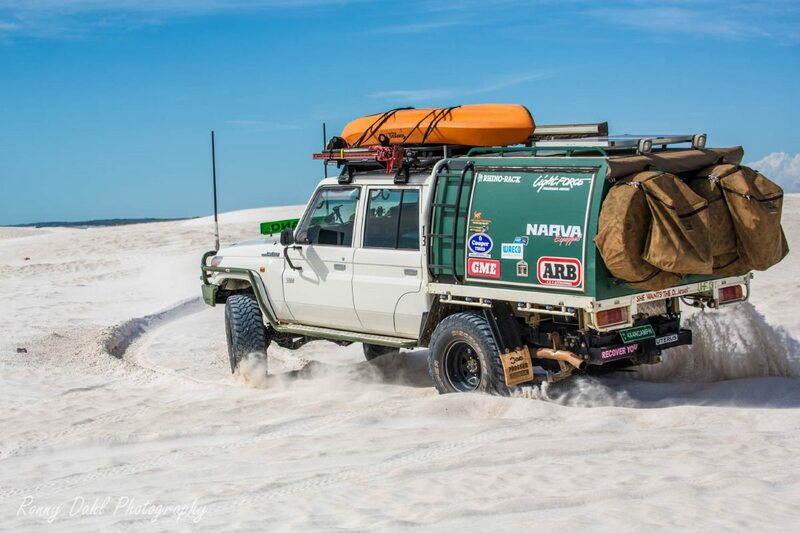 Harry’s Toyota Landcruiser 80 Series Sahara, also called Brick is finally on modified 4x4 Trucks. 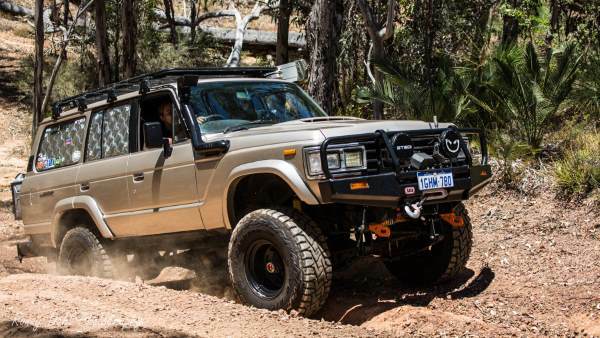 This Toyota 80 Series Landcruiser has plenty of DIY modifications on it, so here is a few tips if you are doing your own mods. Check out the page and the modified video. The second Toyota Troop Carrier on modified. 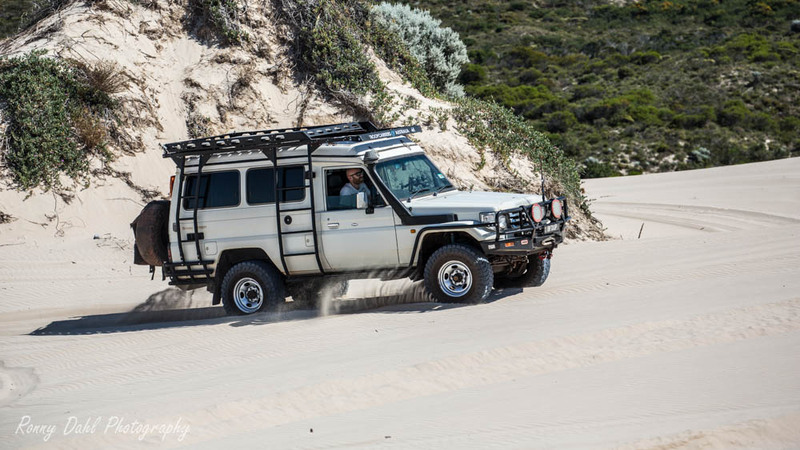 The owners of this Landcruiser Troop Carrier, Sandra and Peter, have a really clever setup in the rear for general living, cooking and sleeping. This is an excellent example for backpackers or young couples travelling on a budget. For more information see Modified #41. 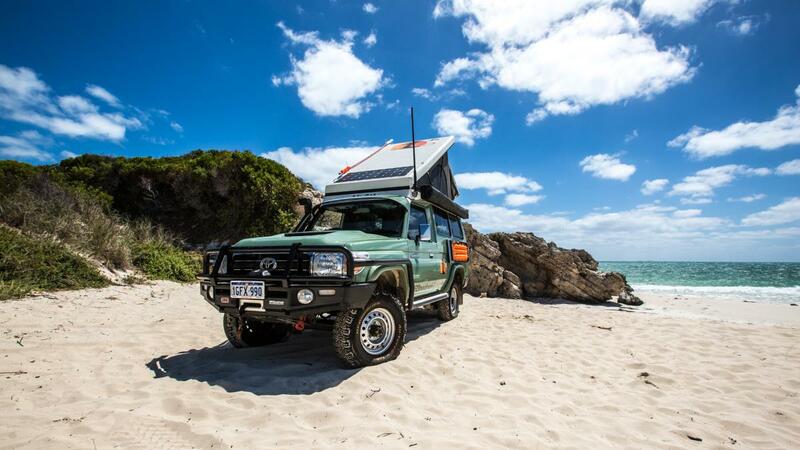 The Custom 80 series Landcruiser with everything you will ever need in a home away from home. 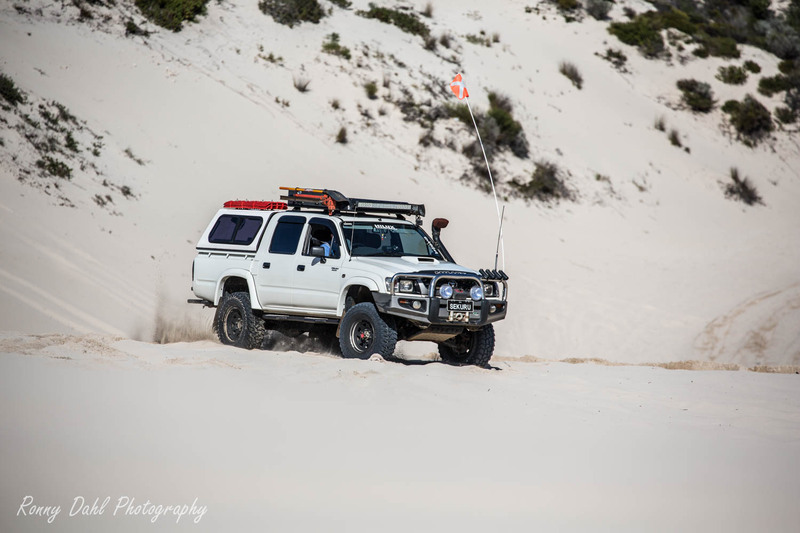 Marcus's 80 Series Landcruiser has an epic setup and he and his wife has been travelling Australia in their home away from home. This Nissan Navara D22, on Modified 4x4 trucks, has an amazing rear canopy and is the most kitted out Nissan Navara D22 we have seen to date. A Toyota Prado And it’s the V6 petrol Prado 120 Grande. This 4x4 is a great example of showing you can build well on a budget and you don’t need massive tyres and lift to go most places. For more information on the Toyota Prado 120 Grande click here! The GQ Patrol is an excellent touring/expedition rig and is simple to work on if a mechanical issue happen on the track. Jarrard has done many cost saving mods to this capable vehicle, watch the video and get some ideas. For more info go to Modified Episode #37. Do you want to see a Land Rover Defender 130 flex. Wait no more, take a look at Justin's very well thought 4x4 truck. You won't find many of them getting around in Australia. For more information see Modified Episode #36. Zak's RG Holden Colorado are featured in the modified episode #35, check out the friendly storage departments and see Zak's modifications tips in the video. For more information see Episode #35. Finally a Unimog on the modified. 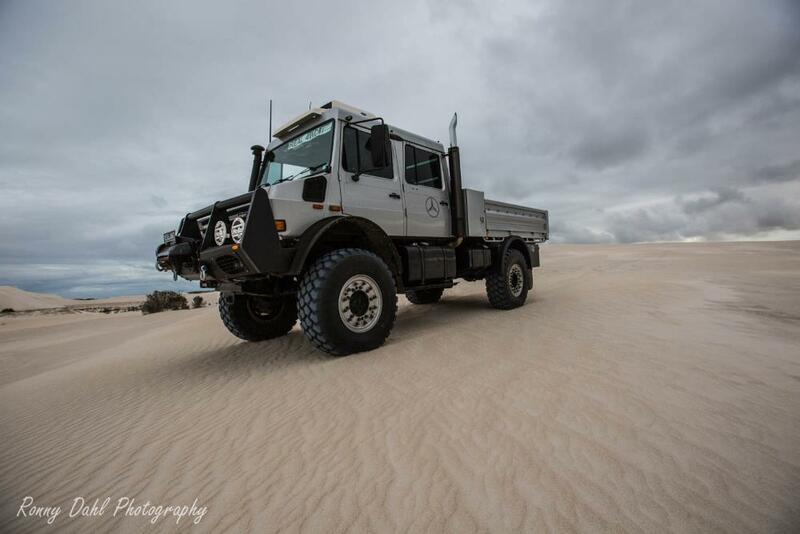 With a 500mm clearance and 44" tyres the Unimog is almost unstoppable. See it up close and watch the modified video here. The main feature on this Toyota is the rear canopy which has a very simple and neat layout and you could pick up a few ideas by watching the modified video and see this page for more info. 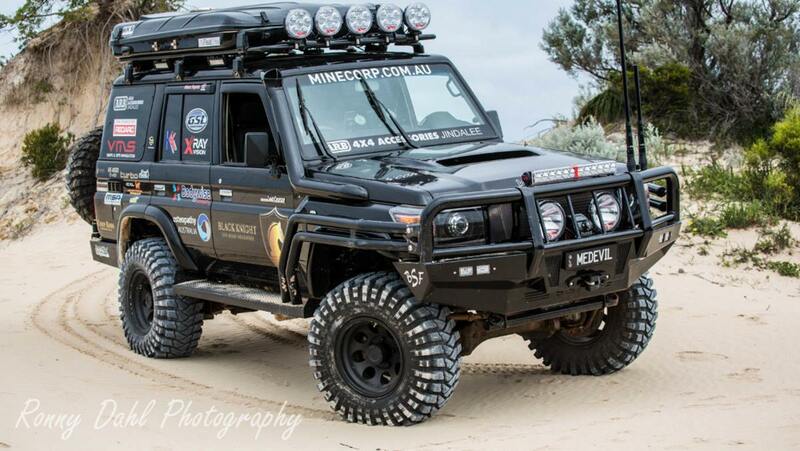 Finally a Toyota Landcruiser 200 Series on the Modified. 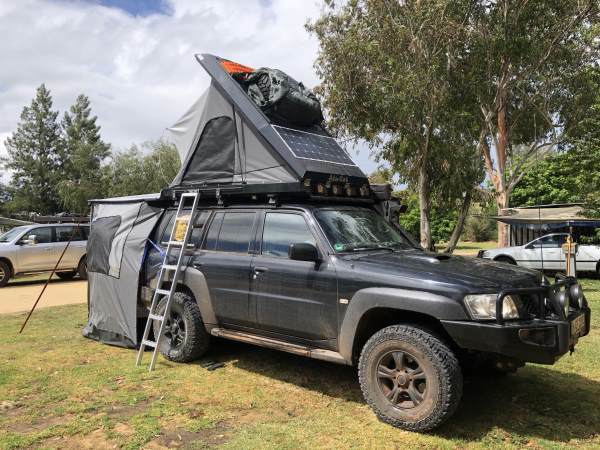 Take a closer look at the setup and all the modifications including some real clever storage idears to this 200 Series Landcruiser. Another first for our Modified 4x4 Trucks. 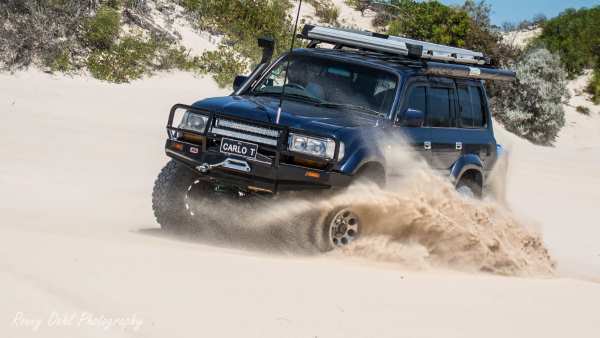 The Ford Maverick 4x4 SWB is basically a Nissan GQ Patrol rebadged by Ford. 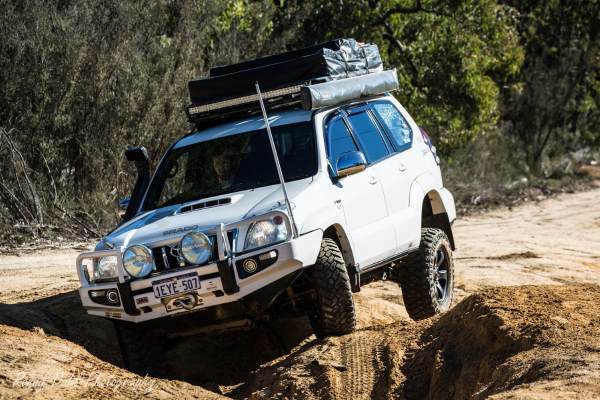 Have a look how the 4WD is set up for touring and play and watch the modified video. For More Information See The Ford Maverick 4x4 SWB. This 79 series dual cab is the most complete dual cab we have seen so far. The canopy has a full kitchen and every thing in the canopy is very organised and secured. 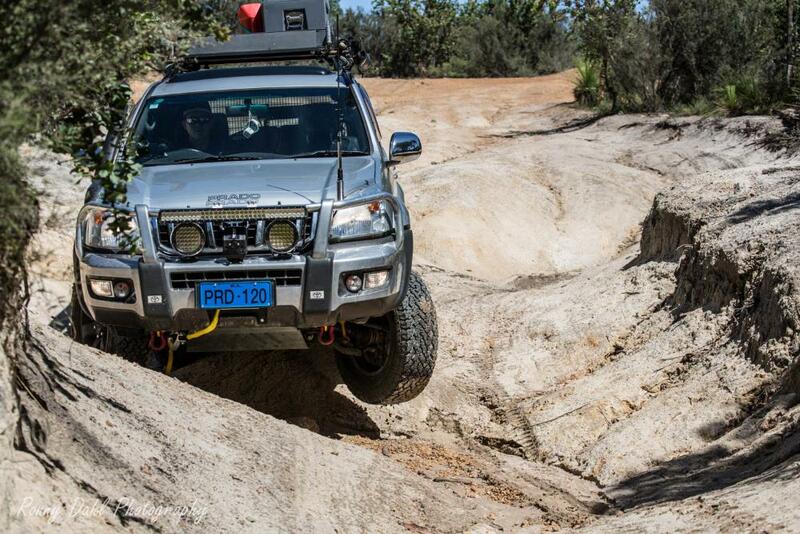 See the video and pick up a few ideas for your 4x4 Trucks. 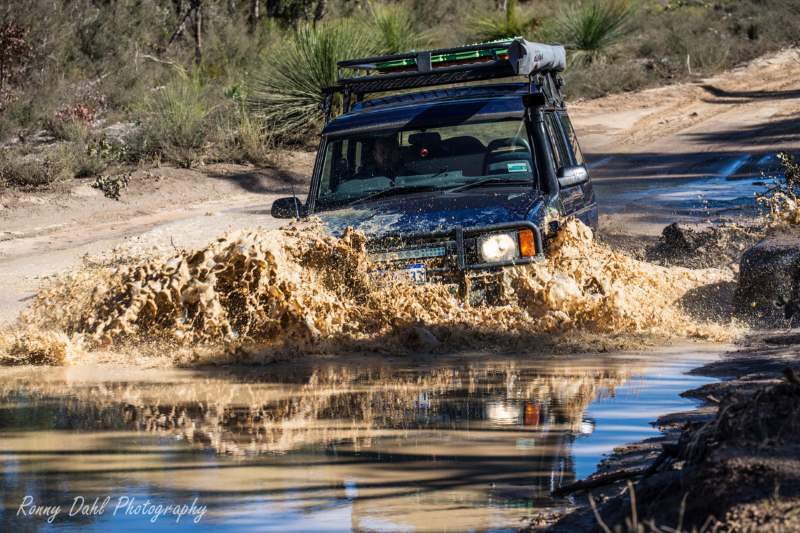 Is this the fastest 76 series Landcruiser in Australia? Check out the Black Knight here in Modified #29 and get the full story about Anthony Collins Toyota 76 series LandCruiser. For more information see Modified #29. Another Pajero, this time a 2005 model Mitsubishi Pajero MP with interesting home made bar work and a lot of things going on in the engine bay. To see the modifications on this 2005 Mitsubishi Pajero MP. 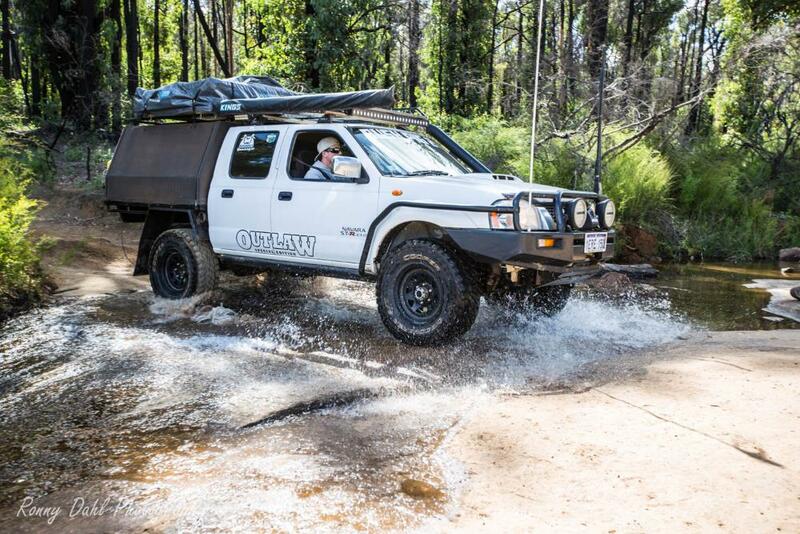 Our first Toyota 105 Series Land Cruiser on modified 4x4 Trucks is Juha's Land Cruiser. This Land Cruiser has had an engine transplant and now has a Turbo diesel with solid axle. 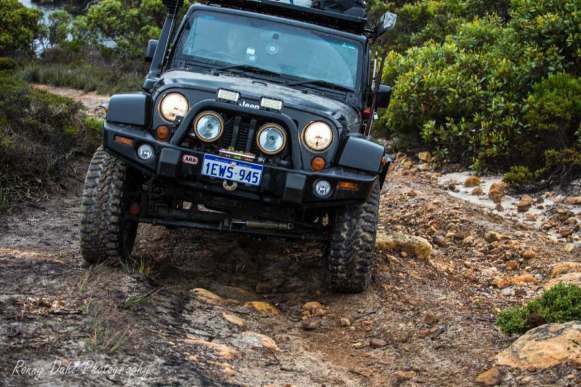 To get some good tips and ideas for the 1998 Land Cruiser 105 series see this link. 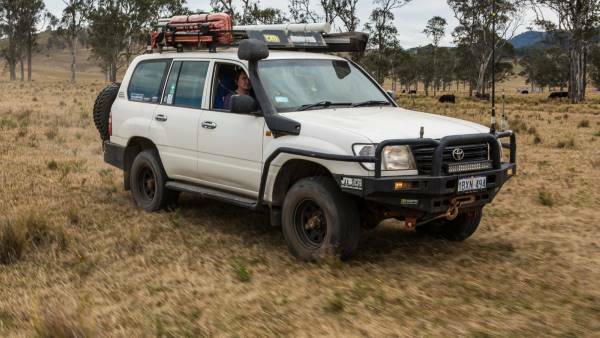 Bennet and Felix are backpackers from Germany, traveling Australia in this Mitsubishi Pajero NJ. For people looking for a low budget 4wd or to get some information on cheap vehicle modifying ideas this video and information is a must see. For the full Modified Episode #26 click here. Dylan's Ford Ranger PX has a custom rear tray there has been modified and improved more than 3 times. 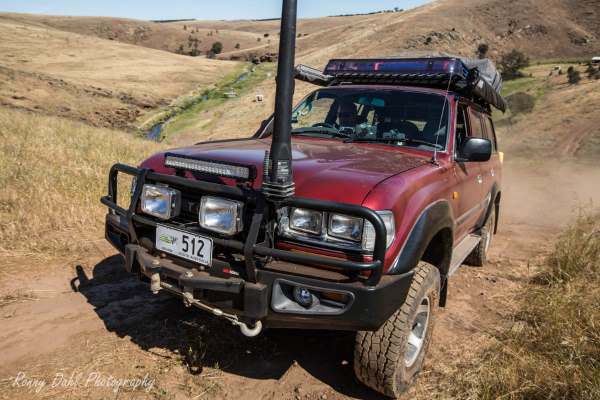 See Dylan's modification list and get some ideas for your own modifications on your Ford Ranger or any other 4x4 ute. For more information see Ford Ranger PX. The Jeep Wrangler JK SWB CRD is here featured in 4x4 trucks Modified. The CRD (common rail diesel) gives this Wrangler good torque and a great crawl speed. See Dan's modifications and pick up a couple of ideas. In Modified Episode #23 is a Nissan GU Patrol Ute with a V8 conversion (L98) from a Holden Commodore SS. 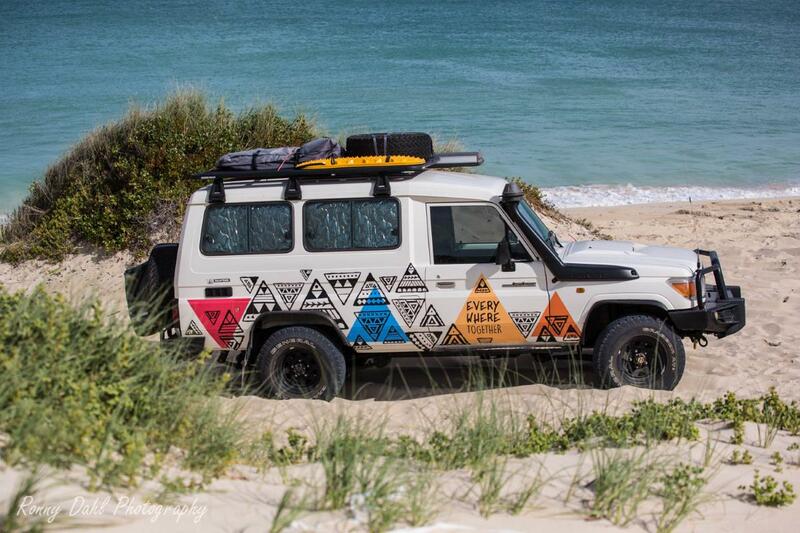 Have a look at Daniel's Gu Patrol there is setup for touring and long expeditions and see the modified video. 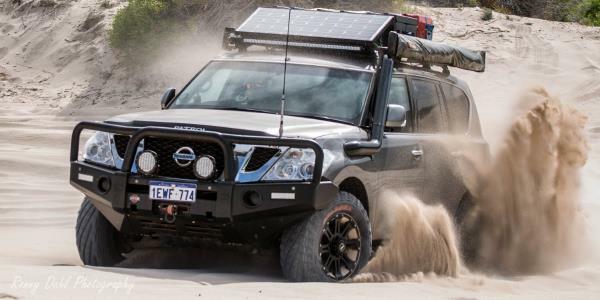 For More Information Go To Nissan GU Patrol Ute. 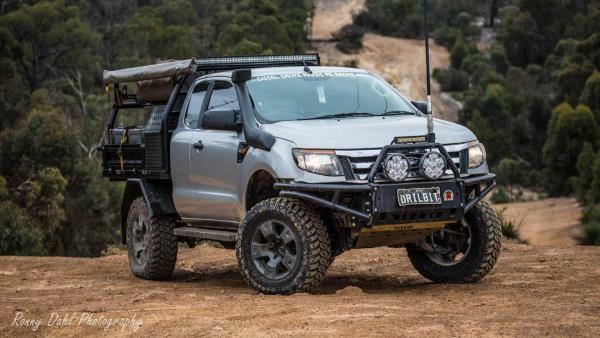 Here it is another very highly requested Modified vehicle, a Mitsubishi Triton 4x4 aka Mitsubishi L200. Take a closer look at the modifications on this car and get some modification tips from the owner Joshua. 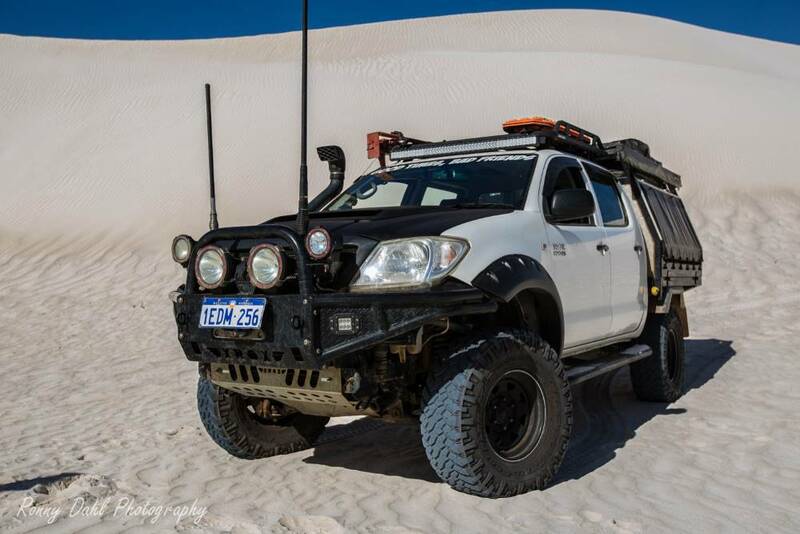 This 2003 Toyota Hilux Turbo diesel is one of the most modified going around in Western Australia that we know of. 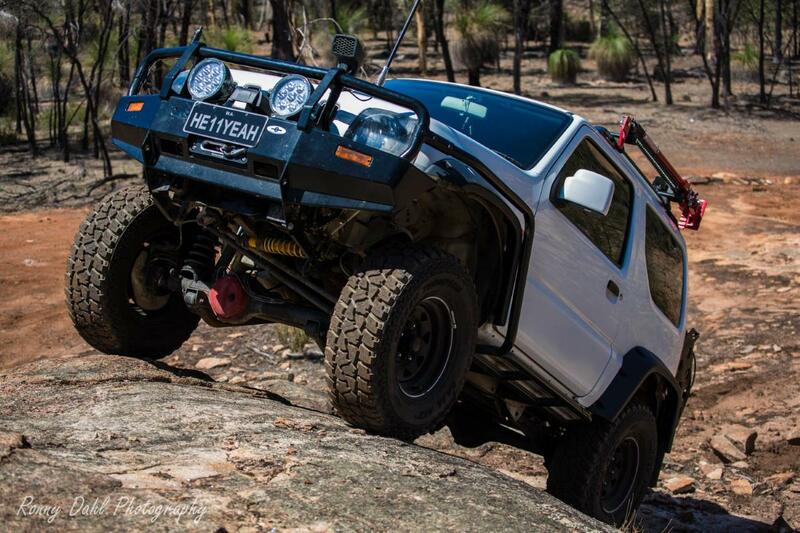 Take a closer look at Warrens Hilux and get some good advise and ideas for your own modifications. For More Information See Toyota Hilux. See the Defender 110 close up and meet Royce and Trigger and find out how you can follow Triggers Big Trek. Siani’s tough looking Suzuki Sierra Jimny 2010 is featured in modified 4x4 trucks as we have had a few requests for a Suzuki 4x4. So here it is. Siani will give the Suzuki owners a few ideas for modifications and what to look out for. 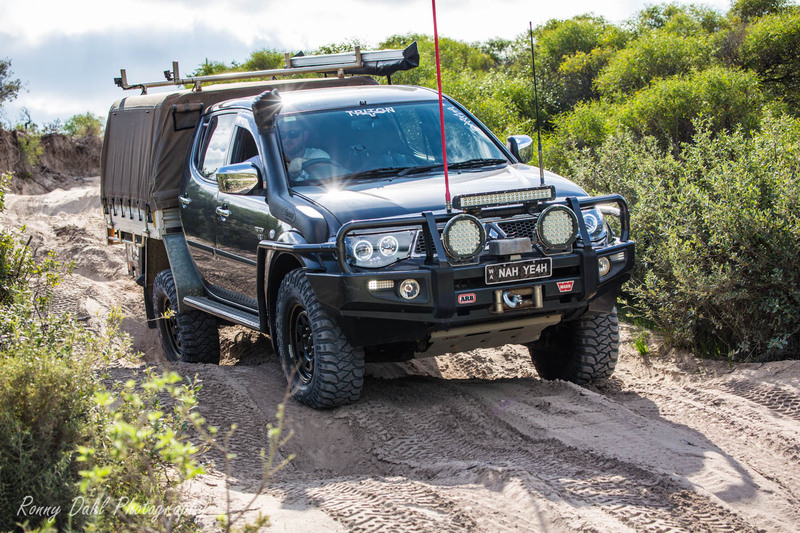 The Mazda BT 50 has been requested by a few of our followers, so here it is. Kiran's Mazda BT 50 is featured in Episode #18 and even comes with a roof top tent. 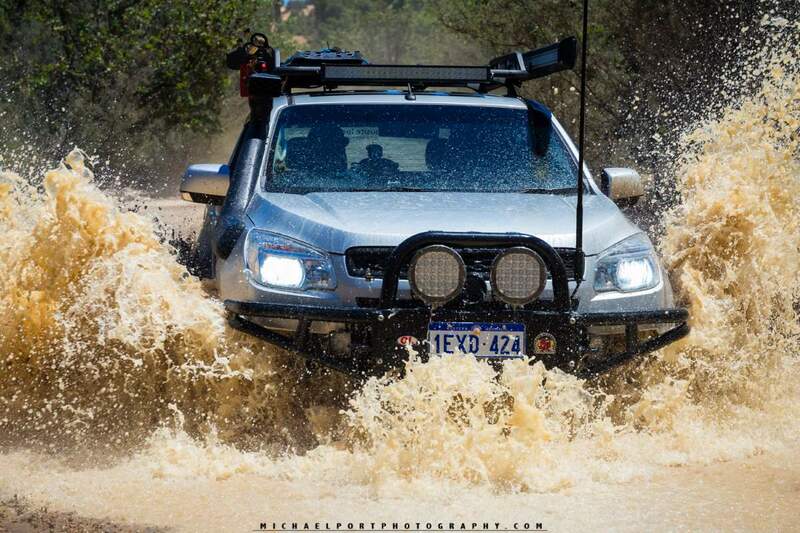 See Kiran's modifications tips and his 3 tips specific to the Mazda BT 50. For more information see Episode #18 of 4x4 Trucks. 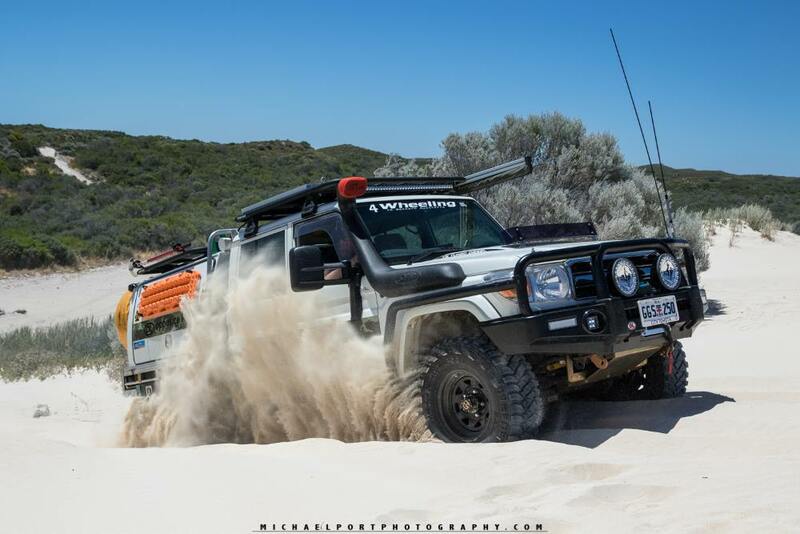 The Nissan GQ Patrol is featured here in the Modified Episode 17. Jonathan's GQ Patrol is in mint condition and have had a lot of work done to it. See the video and get some great ideas and tips from Jonathan and his GQ Patrol. 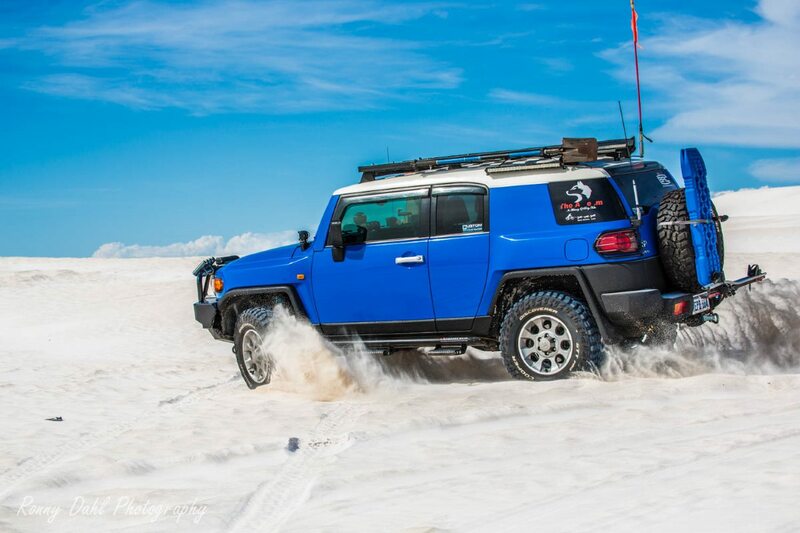 Andrew's Toyota FJ Cruiser is about as modified as they come. 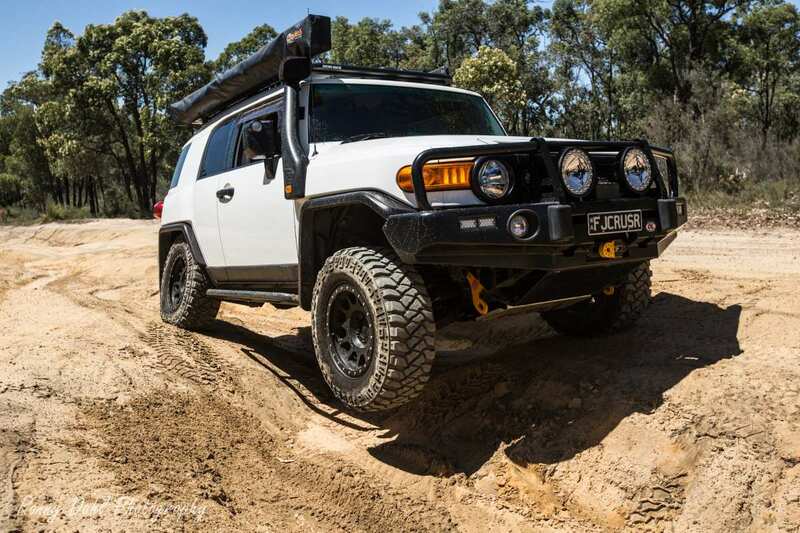 A lot of research and careful thinking have been put into the modification of this FJ Cruiser and Andrew have done an excellent job in getting the FJ Cruiser to where it is today. 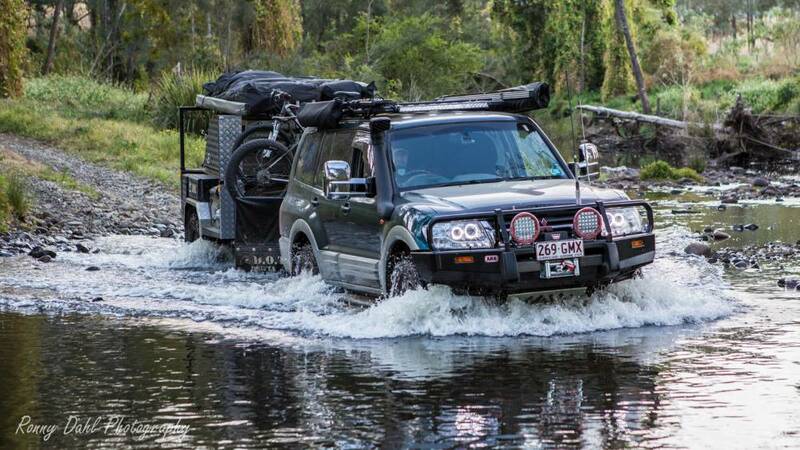 Shano’s Landcruiser has endured a 3 stage change of the rear tray/canopy combo and along with all the other mods you will find on this LandCruiser it is now the perfect vehicle for camping and touring. 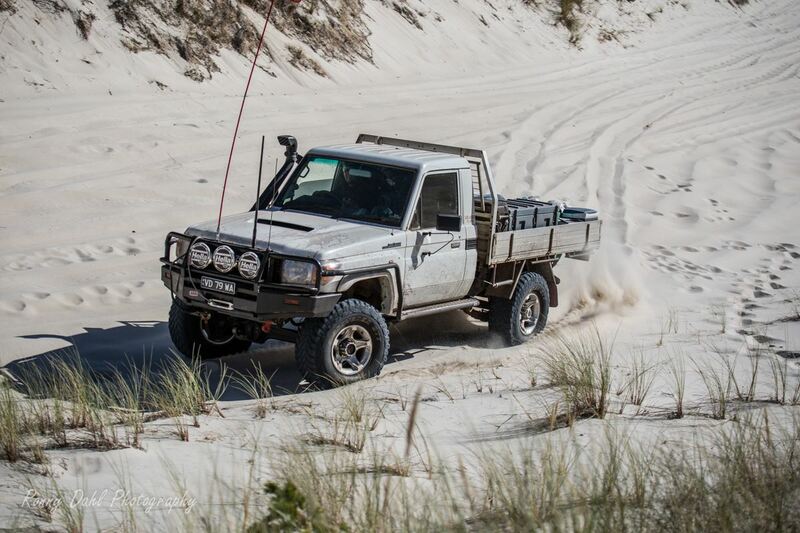 So before you start modifying you 4x4 trucks, get a few tips here. 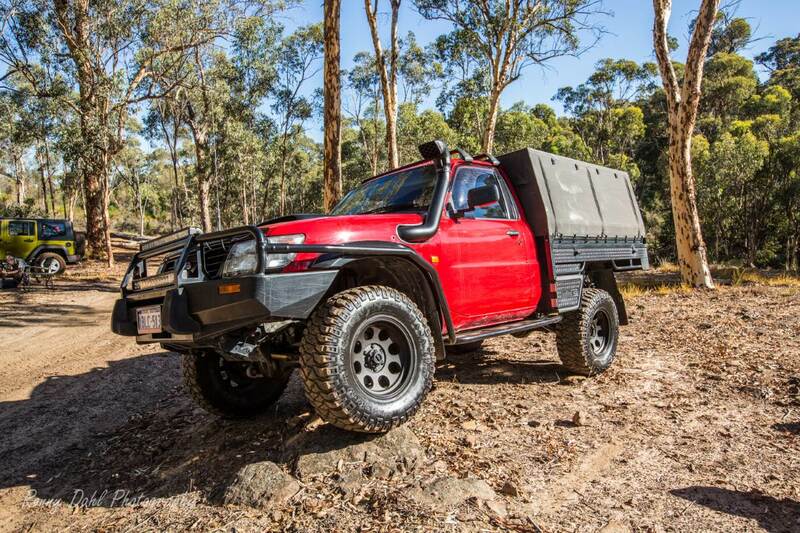 Looking for a tough 4x4 camper, Ante's Toyota LandCruiser Troopy has everything you need. It is fast to set up camp, and will go anywhere. 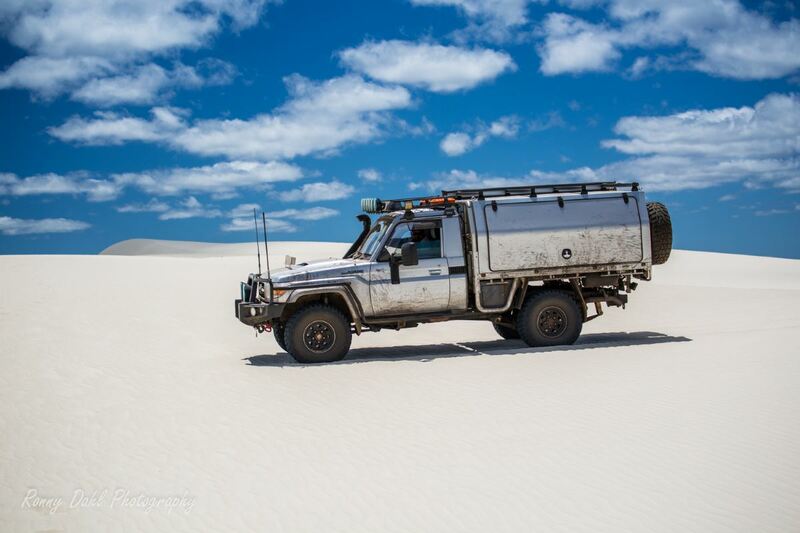 Have a look at the modified video and get a few ideas if you are modifying your own Troopy. 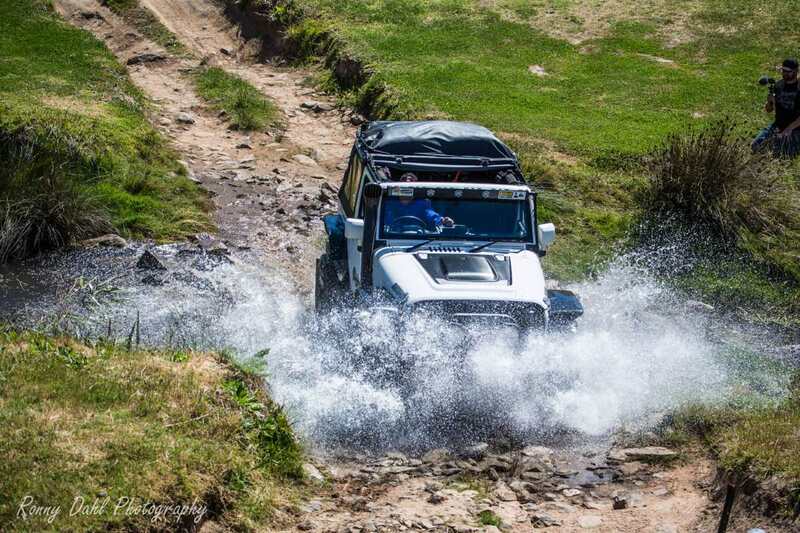 The Land Rover Defender 90 TD5 XS is featured in the modified #13. Check out this capable Defender and have a look at Mark's modifications tips. 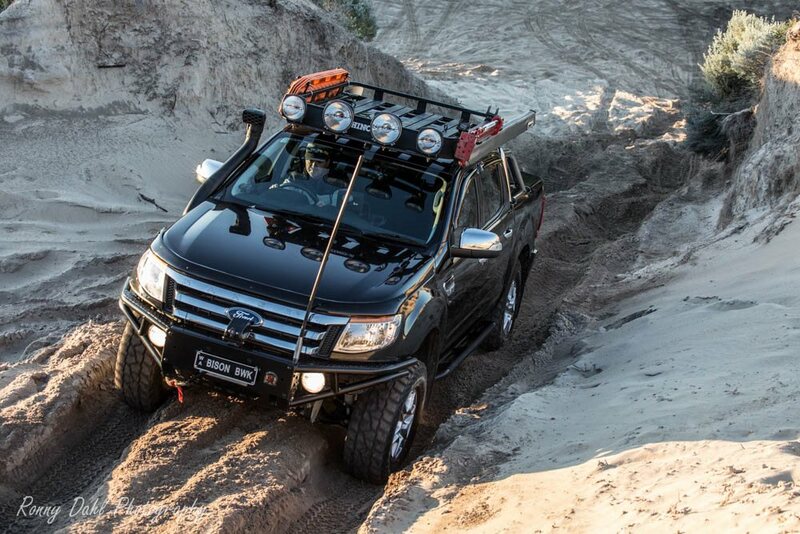 Take a closer look at the 100 Series Landcruiser. 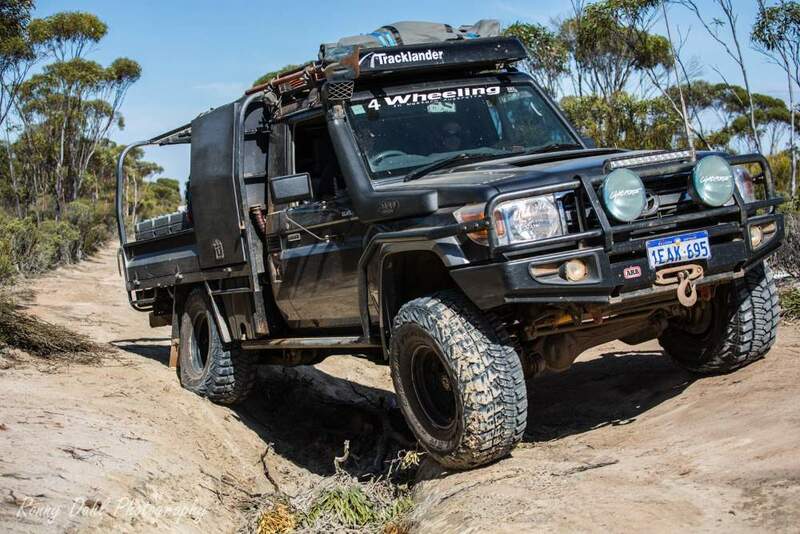 In Modified 4x4 Trucks, we show you Anthony's absolute power beast and give you Anthony's modification tips to the 100 Series Landcruiser. To watch the video and for more information on the 100 Series click here. 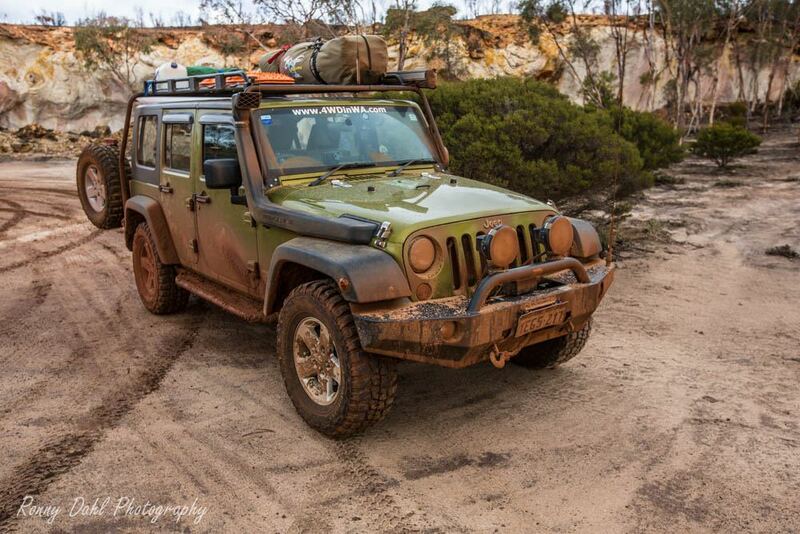 Take a closer look at the Wrangler and my DIY mods in the rear that I am testing out at the moment. For More Information See Jeep JK Wrangler. 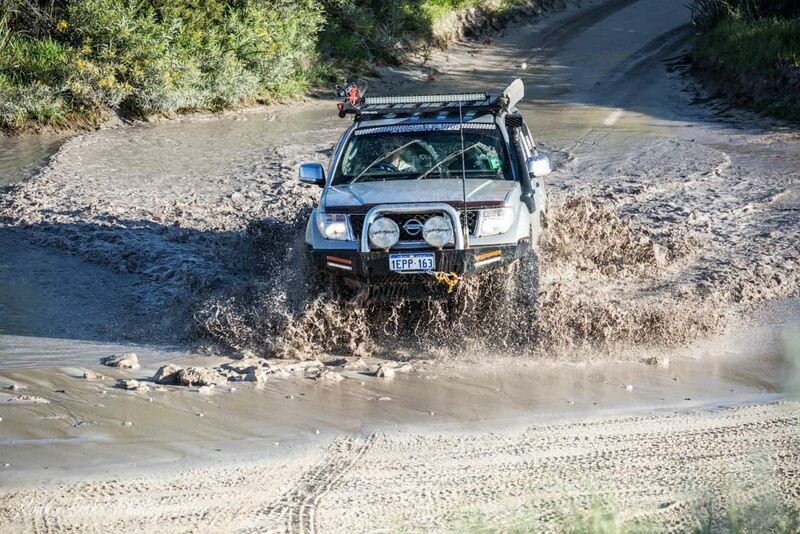 Brandon's Nissan D40 Navara is featured here in Episode #10. 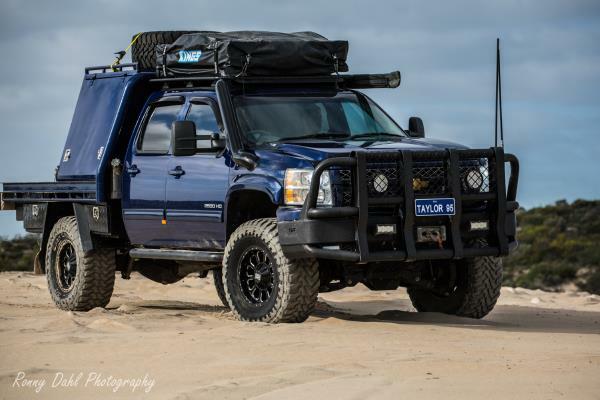 Take a closer look at Brandon's modifications to his D40 Navara and pick his ideas and tips for your own modifications. 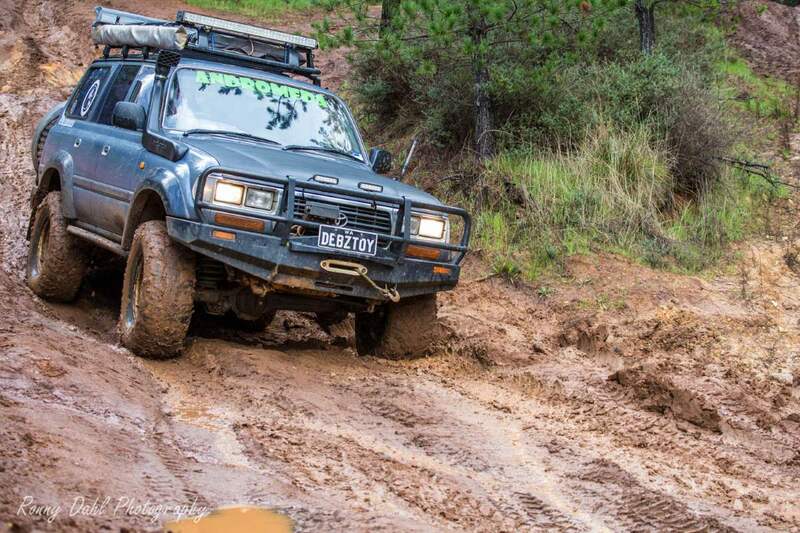 In modified 4x4 Trucks we take a look at Chris's Ford Ranger XLT. We have had many requests to feature the Ford Ranger XLT and now Chris gives you tips and ideas about how to modify the Ranger XLT, and what to look out for when doing the modifications. 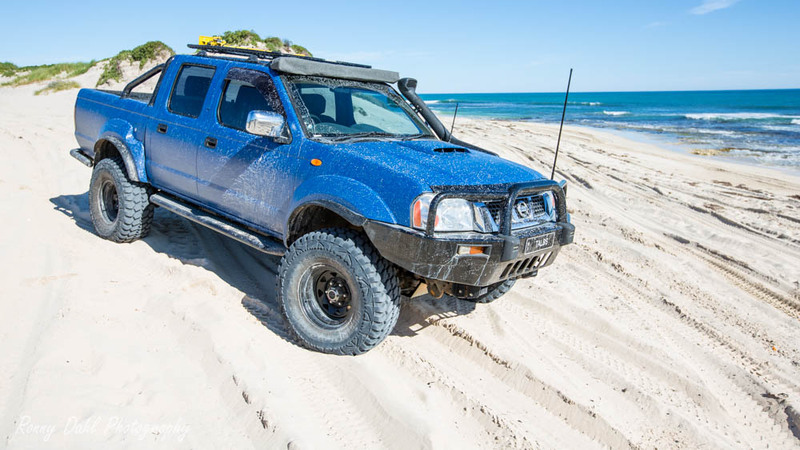 Ashley’s Nissan Navara D22 is modified to suit his needs. 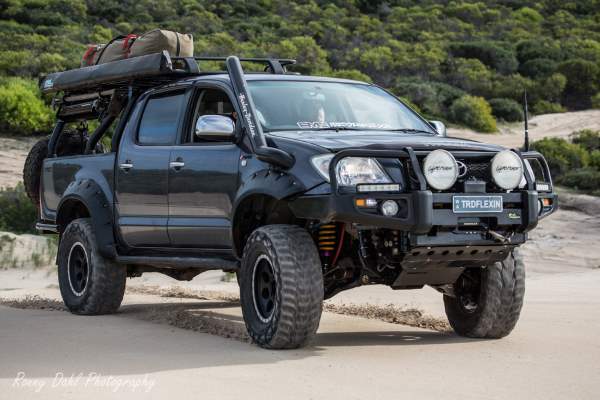 If you have a Ute and is looking for tips regarding modifications then take a closer look at Ashley's Navara D22. Jack’s GU Patrol wagon is setup for remote touring. Looking for ideas, modifying your own wagon? Get some tips from Jack's modifications. Episode #6 of Modified 4x4 Trucks. 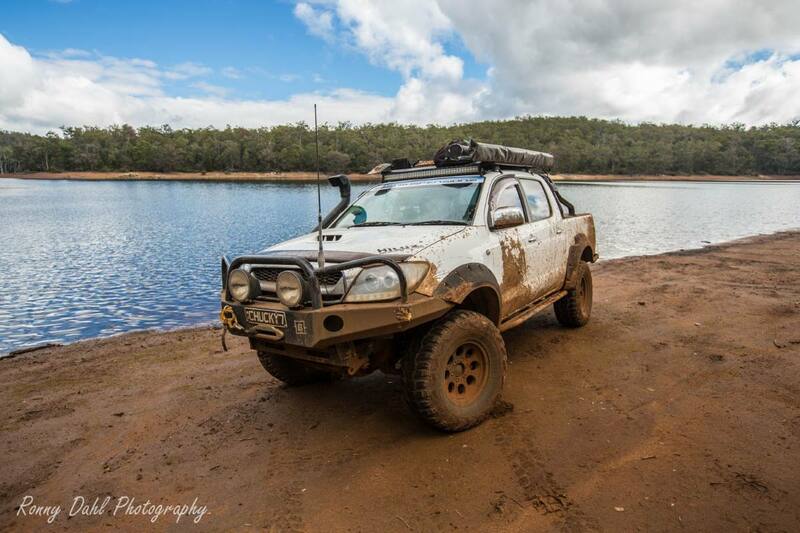 This awesome looking Toyota D4D Hilux is modified by Brad who joined us on one of our adventure trips. For more detailed information about this Toyota Hilux SR5 Dual Cab, photos and video where we get into the modification and setup see Episode #6 of modified. 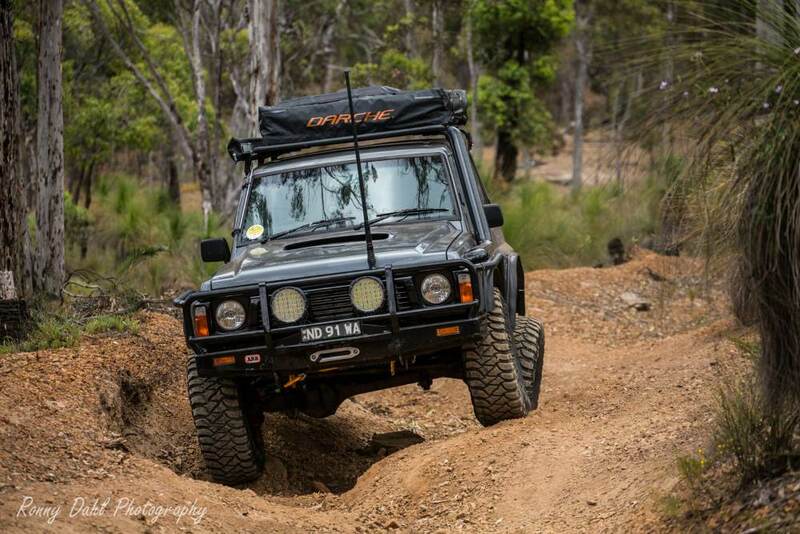 The 80 series Landcruiser is considered one of the best 4WD's ever made when it comes to tough tracks, check out what Deb has done to her 80 Series Landcruiser and get some ideas for your own modifications. 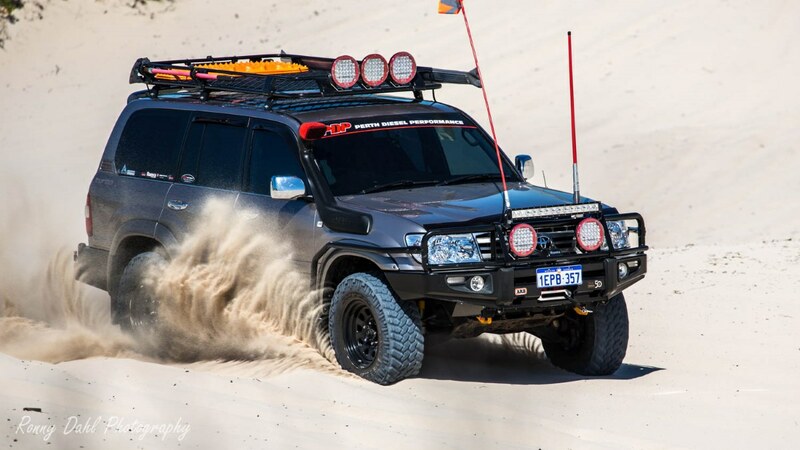 For more information see Modified 80 Series Landcruiser. 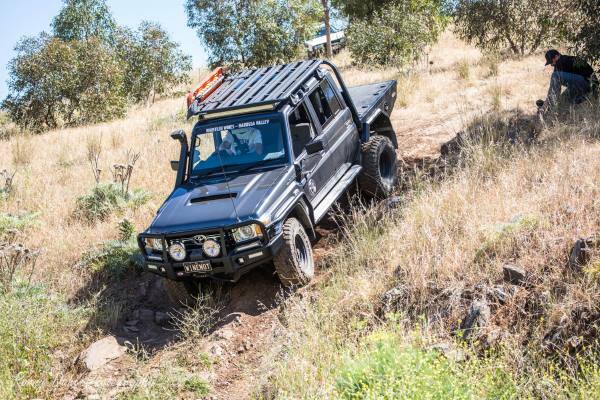 This single cab 79 series Landcruiser has a huge range with its total of 260 L diesel capacity. For more information see Modified 79 series Landcruiser, single cab. Dave's GU Patrol Ute has a 4 inch lift with all the extra hardware to enable every bit of potential flex possible while keeping it stable on the highway. The engine upgrades are quite impressive as well on this Patrol. For more information see Dave's GU Patrol. 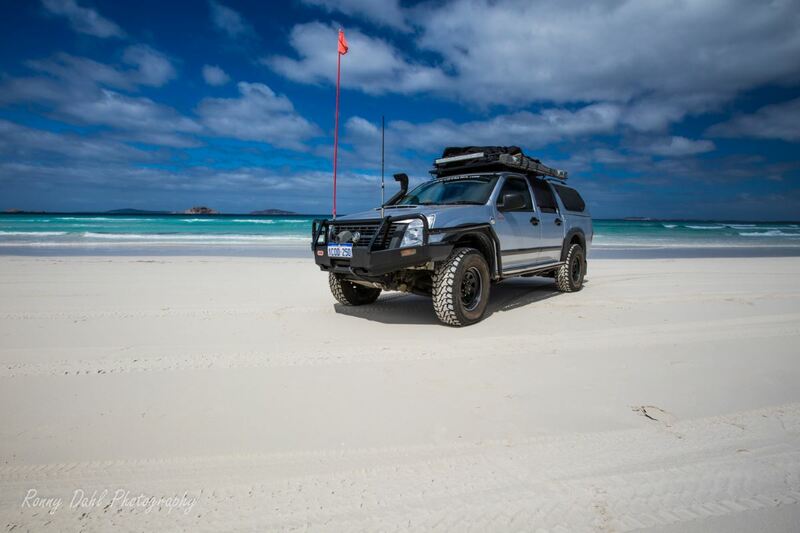 We showcase Karel's Rodeo which is setup for every day use, touring and solo 4WD trips. For more information see Karel's Holden Rodeo. Episode # 1 Modified 79 series single cab Landcruiser. In this episode we talk to Torben about his well thought out setup for work, hunting and 4wding. 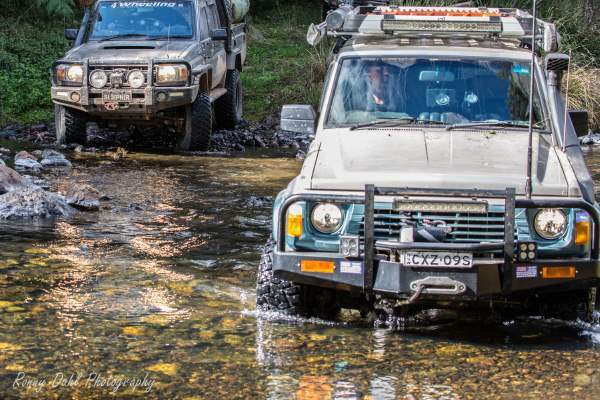 See plenty of tips and questions answered by Torben about his 79 series Landcruiser. 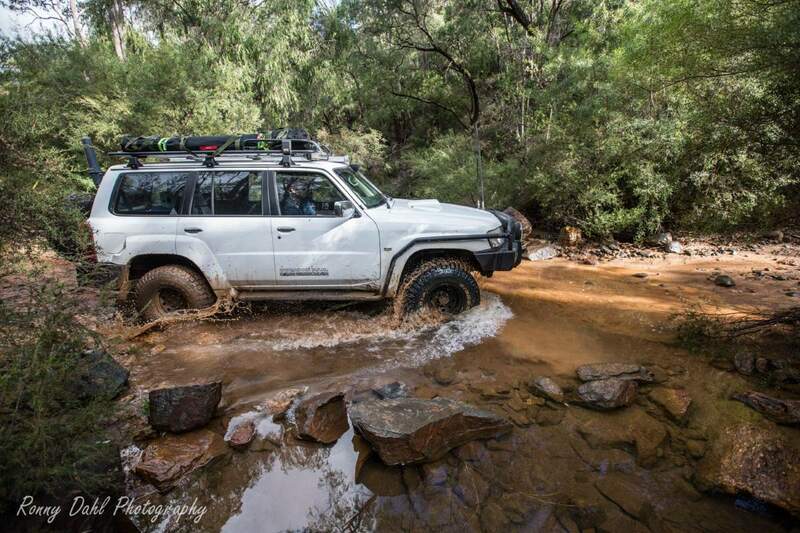 For more information see Torben's 79 Series Land Cruiser. 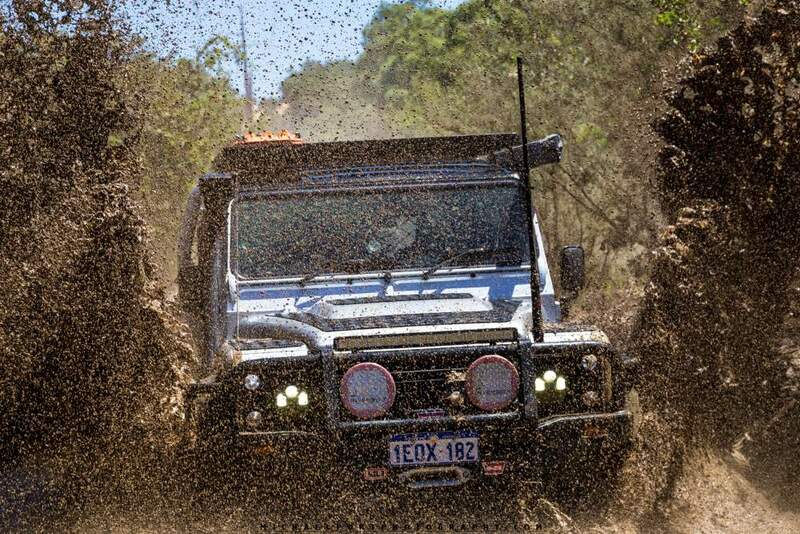 Leave 4x4 Trucks And Go 4 Wheeling In Western Australia.